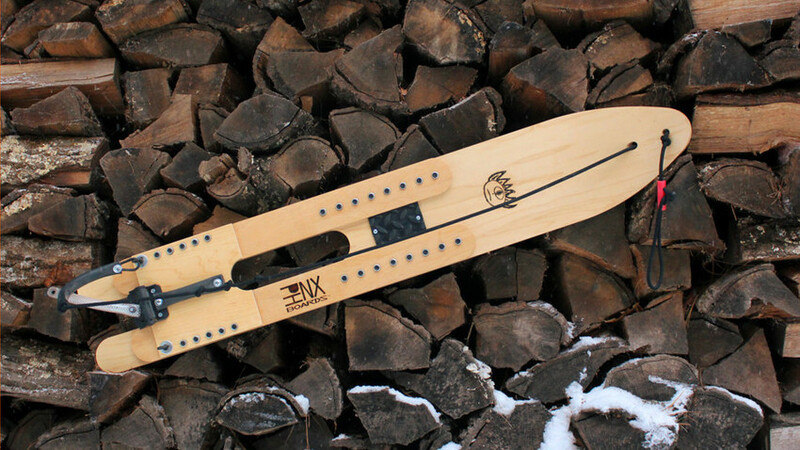 PHNX Boards are handmade wooden snowboards designed for use anywhere there is a hill and some snow. No special boots or equipment required - just step on the board with any winter boot, pull the Rip-Cord to lock the binding over your foot, and go! The unique binding system allows you to get on and off the board without strapping in or out and releases when you fall or at the end of a run. The binding turns into a brake when released, stopping the board from sliding downhill. Inspired by the retro Snurfer, the first snowboard, PHNX Boards combines the simplicity of a wooden backyard board with a revolutionary binding system. Rediscover the 99% of terrain *beyond* resorts, in backyards and backwoods everywhere, and join the Retrovolution! Check out our videos on http://www.youtube.com/phnxboards and follow us on http://twitter.com/phnxboards for updates and tutorials!